Ken and Laima met at High School in 1977 and have been a team ever since. Laima continued her education in business and worked in Toronto in the financial field and Ken continued his education in engineering to sell electronics across North America. 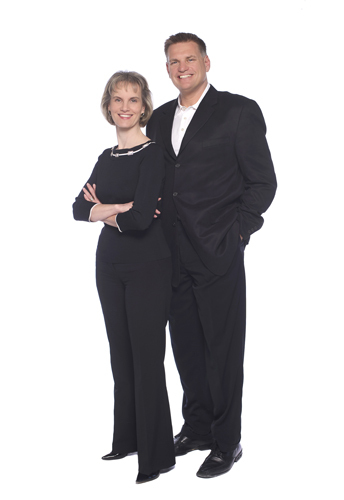 Having purchased, renovated and sold many properties, we decided to change our careers in 1990 to sell real estate in the Cambridge, Kitchener, Waterloo region. We have represented and relocated Buyers, Sellers, Business Owners, Tenants and Builders in the fields of new and resale residential homes, condominiums, industrial, commercial, investment and recreational properties in a wide area of Ontario. RE/MAX KLS helps with all services relating to real estate including mortgage financing, private lenders, property inspectors, contractors, renovators, handyman, home staging, lawyers, moving companies and property managers with the ultimate goal to sell a client’s property for their highest return as quickly as possible. When representing our Buyer and Tenant clients, our negotiating skills are of great benefit to them. With integrity, wisdom and dedication, Ken and Laima have a proven track record and solid reputation you can trust and refer your family and friends to. Please call us for a no obligation, free market evaluation of your property.